This video series was created for individuals and their loved ones. It explains BPD in ways that are clear and easy to understand. When you rent these videos they will be available for 10 days. You, and your friends and family, can stream the videos on any computer or compatible device. This series documents four families living with Borderline Personality Disorder. Each of the five videos focuses on a critical aspect of BPD: understanding what BPD is; what causes it; how it is diagnosed; how it is treated; and how people can learn to cope with BPD and rebuild fractured relationships. 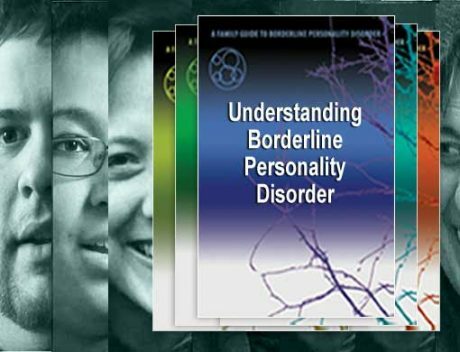 Leading BPD experts and advocates provide the most recent insights and explanations about Borderline Personality Disorder. If Only We Had Known: A Family Guide to Borderline Personality Disorder was funded by grant from the National Institute of Mental Health. A randomized controlled trial conducted with family members, under the direction of NEA-BPD, showed that people who viewed the five videos increased their knowledge about BPD, felt more empowered, and felt less emotional burden. Marsha Linehan, PhD – developer of Dialectical Behavior Therapy. John Gunderson, MD – founder of the McLean Hospital Borderline Personality Disorder Center. Peter Fonagy, PhD – co-developer of Mentalization-Based Treatment. Jon G. Allen, PhD – co-author of Mentalizing in Clinical Practice. Antonia New, MD – researcher focusing on the neurobiology of borderline personality disorder. Frank Yeomans, MD – co-developer of Transference-Focused Psychotherapy. Mary Zanarini, EdD – professor, Harvard Medical School and McLean Hospital. Perry Hoffman, PhD and Alan Fruzzetti, PhD – co-developers of the NEA-BPD Family Connections. Alec Miller, PsyD – director of the Adolescent Depression and Suicide Program, at Montefiore Medical Center. Absolutely wonderful. The people in these videos explain what it’s like to have Borderline Personality Disorder better than I ever could. This was great for me. It had a lot of information that you can’t find out there unless you are willing to read extensively. Dr. Fruzzetti was great. A good overview of Borderline Personality Disorder that showed us that now we need more information about the skills and interventions that we could use to deal with our loved one who has Borderline. Someone should make a special series for psych-mental health nurses – how to work with people coping with BPD. How to work with the families of people with BPD. In the (NAMI) Family to Family Course, there’s a class on Empathy. I use Empathy with my daughter and it works very well –the validation example in the video about treatment was very good. It reminded me of Empathy and I know that works. I think the best thing I learned was what causes some of the behaviors that upset me, and maybe how to cope with and communicate about those behaviors. Seeing people who have BPD and who are doing well is very good for those of us who aren’t doing so well. Helping families to understand biological and social roots of Borderline Personality Disorder may decrease guilt and desperation. The more you see the more you learn. It’s really true – “a picture is worth a thousand words”. This was excellent! Thank you for making it! Because I learned more about others in this situation (both those with BPD and family members), I learned that I wasn’t alone, as well as a better understanding of what I might expect to experience. That helped me to be more understanding, I changed my reactions and interactions because of what I learned, which reduced my BPD spouse’s stress and anxieties. It’s not the relationship that I had envisioned when we got married, but it is better today than it was. I have fewer “expectations” and have become much more flexible in our relationship and in life. I am at peace with her and accept her for who she is. Need is present, prevalent, pervasive. As a parent, and a person involved in BPD parent programs, I know the need for videos such as these is present, prevalent, pervasive. I think there should one geared to professionals as well– a lot the of suffering is because of the stigma of BPD and the ignorance of professionals who should be helping but more often are hindering progress. Needs to be translated into Spanish, French Creole, French, Urdu, Arabic, etc. These flims are a critical visual teaching tool for people with BPD, families, friends, and the community at large– but to be truly useful to all members of society it needs to be translated into Spanish, French Creole, French, Urdu, Arabic, etc. These programs saved us from having to answer and explain so many things about BPD to the rest of our family. For those of us who have children with the disorder it is difficult to know what is normal adolescent behavior and what is not. This helped explain it. The validation I felt watching the videos was important. As a child of a borderline parent I needed validation and outside explanations to understand the events happening were not my fault or caused by me. Then I could better understand, and relate to my parent. Understanding more about her disorder allowed me to better cope with my Mother’s triggered outbursts compassionately. Film does not touch my family experience. I found that I already knew a great deal of the information presented in these programs about borderline personality disorder. But I still thought there was a benefit to me in watching the videos because I identified with the people who were telling their stories, even though my story is different. I saw the video series and thought it was great! It certainly showed nice families of different religions and races with children or spouses with problems that weren’t too scary at first. The mood stayed calm. That puts viewers at ease. Each vignette at the beginning singled out one criteria to explain. Dr. Linehan’s theories really brought a good focus. Having parent and child describe situations was very helpful. The whole thought of self-mutilation or harm sends me into worrisome mode but when it was explained that the patient feels better it makes some sense. It is obvious that those individuals have had lots of help coping with their issues. Dr. Fruzzetti at the end summed the main criteria up in an easy to remember order. I was impressed with the fine technical quality of filming, sound, captions, etc. I am willing to do anything to help my daughter. I think these videos helped. Worth the money. Good to know this stuff. It’s great that these videos are available for rentals. Most other video programs about BPD that have experts in them are very expensive DVDs. Shared the rentals with my whole family. It showed my siblings what’s going on with me. Our daughter was just diagnosed with borderline personality disorder. We had no idea what that was. Her therapist gave my husband and I these programs to watch. They were an excellent way for us to find out about BPD, and then we came to your website which had even more helpful information about other organizations. This has shortened our learning curve and hopefully now we can be of some help to our daughter. We are a visual society and I see how valuable viewing these DVDs has been to my clients. I would very much like to expand the number of people I could offer this resource to – how about Spanish? I liked the part that explains that this is a biological illness. I think I understand my son a little better now. I liked that there were therapists in the programs that explained things and talked about how to handle different situations. The overview of treatments was a starting point for me to try to make treatment decisions for my daughter. It seems to me that DBT or MBT is the most specific to borderline personality disorder. I understood DBT a little better but I would be happy to find either of those therapies in my area. It’s wonderful that I was able to share these videos with my family in India. They had no idea what Borderline Personality Disorder was – and now they seem to understand me better. I feel that now I might be able to talk to my sister without loosing my temper and I can try harder to understand what she’s going through. Maybe. It’s been so hard for so long and she was always the “child of focus” in our family everything was always about her. It was a long time before anyone said she had Borderline Personality Disorder. We’re both adults now and I mostly just try to stay away from her. I would have liked to see more about DBT skills. Would love to get to somewhat normal. All the families in the videos seem to be at a good place. It’s important to me to see that they’d gone through some serious struggles and seem have arrived at a place where life was (if not ideal) at least somewhat normal. Right now we’re still struggling would love to get to somewhat normal. It’s always helpful to know that other people are experiencing the same feelings that you’re feeling. This has opened my mind to the possibilities of a better future. These programs gave me that “you are not alone” feeling. It was good to see that the behaviors we see in our daughter are actually symptoms of the illness- and that she’s not just acting out. Matt (Ej’s brother) gave me a lot of hope that things could be better with my brother. It is very hard living in the same house with him, so much drama all the time. But I see that it’s not all his fault. You need to include community resources (local). This is a great resource. I recommend viewing these programs to people who have been diagnosed with BPD and, more importantly, to their families. These videos will be of real and invaluable help to many, many people. The video is beautifully done and very powerful. The overall effect of the expert’s commentary interwoven with the patient’s was even more powerful. You’re producing an enormously valuable ‘document’, one that I think will be of real and invaluable help to many, many people. During the part about the plethora of ‘diagnosis’ our children get at an early age (ADHD, ODD, OCD, separation anxiety, etc.) our whole family, including our daughter, kept nodding our heads. Now to see all these misdiagnosis were probably childhood indicators of Borderline is somewhat distressing. Why isn’t there more information in the professional community about Borderline. I am not sure this will be useful to my family, our situation seems to be so much worse than what the people in the videos are dealing with. The fact that there is a video series like this made us feel less alone in our struggle. The section that talks about DBT “validation” helped me in my day-to-day dealings with my partner. I would have liked to see more about medications. Is it BPD or Bipolar? Videos perhaps should distinguish between BPD and Bipolar. Many people are diagnosed with Bipolar in error, instead of borderline personality disorder. We’re going to rent these videos again to try to educate other family members as to the nature of this illness. If only we had something like this when she was in high school, or when she was in her 20s, or 30s. Series is a wonderful complement. I am a family member who teaches a 12-week talking course. This video series is a wonderful complement, particularly for people with different learning styles. Information in a comfortable, private format. A wonderful educational tool that offers information in a comfortable, private format. My clients have been very responsive to the information they received by watching the series. An original, absorbing, highly instructive, and clinically rich series of DVDs about Borderline Personality Disorder. By vividly capturing the pain of having this disorder and the pain it compels in those who love them, this series creates a sympathetic portrait of a condition that too often generates hostility. It will prove extraordinarily useful for training, for borderline patients themselves, and most particularly for their families. This series documents the challenging road traveled by families impacted by Borderline Personality Disorder. The programs help families find the hope that comes with skill and knowledge by integrating expert comments and the “real life” wisdom of families who have learned to balance limits and validation. “Professionals” need to see these videos, too! There’s a lot of “professionals” out there that don’t give out the right information. There seems to be a lack of this type of reliable information available about Borderline Personality Disorder. It’s confusing. I never know if what I’m reading is true. Seeing BPD therapists like Marsha Linehan talking in these videos made me realize that what I was seeing was accurate info. This series was very beneficial to me and I liked what the professionals had to say. There should also be a series for BPD patients. This actually gave me a better understanding of my disorder. If I had found these videos before, I might have had a better understanding of my illness I could have tried to explain to my family. Some good information here but maybe more about coping strategies and family therapy. I know from my work with families that learning/hearing and getting support from families that live with this disorder is helpful. These videos can be a viable resource for them. I still cannot say totally, “I understand how you feel,” but I think I have a much better handle on what is going on and the struggles she is dealing with after watching this. That should be good for both of us. I would have liked to see more about what to do when everyone’s emotions are out of control. If I had seen these earlier it would have help establish a base that would have saved me and my family 10 years of confusion. I thought the programs were an asset for information and support. The therapist’s gave me a better understanding of bpd and treatments. Your video series is so valuable for so many venues – our families here in Houston think they’re the best explanation of the disorder they have been exposed to. They said – real people, beautifully filmed and explained, and professionally supported’. The best teaching tools are used – sight, sound, and people they can relate to and actually feel like they know as the series concludes. The human element and key points reinforce the fact that this is real disorder and much can be done to help those afflicted and their families! Much needed hope and inspiration for families. If we had seen these films before maybe it could have helped reduce stigma, confusion and even, separation of certain family members from me and my parents. This series has an excellent approach i.e. – understanding the disorder, then learning coping skills, and finally showing a person that they are not alone in their experiences and that there can be emotional support. It is a perfect way for me to introduce my patient’s families to the way this disorder can impact a family and how they can help their loved during the therapy process. My watching the videos helped my daughter to understand that I care about her disease and want to help her get better. It opened up more communication about the stigma of mental health and also an opportunity to share with others about borderline personality disorder. She sees evidence that I am interested in helping her to get better. I was interested and tried to help her previously however I think that the videos were a key part of her understanding my desire to help her get better. Seeing this illness can be treated and that the person can feel better means there is hope. After viewing the videos I can say that my view of BPD has changed and I am far more empathetic with our daughter as well as other family that are judgmental and harsh with her. I like the fact that I had 10 days to watch the videos. I could go back and replay parts over again. These films are probably the best way to get someone started who has no previous information about BPD. They can give people some context to navigate the confusion and miscommunication that comes with this disorder. Help them move on a path forward. The fact that there were professionals in these videos was great. Many of us are desperate for help- but are unable to get professional help. We can’t find a therapist/clinic near us. That just doesn’t exist in all geographical areas. The people in the videos all seem to be near a clinic or something. Watching this was OK but we need more help than just this. It was a starting point though. The people in these videos showed different strategies that they have successfully used deal with BPD and the experts explained many confusing things about the disorder.